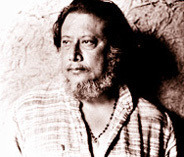 Writer, director, designer, musician, painter and actor, Ratan Thiyam is one of the most important and influential theater makers at work in the international performance scene. Renowned for its disciplined performance practice, spectacular aural and visual esthetic, and potent thematic explorations, Thiyam's work has placed him in the company of such figures as Suzuki, Brook, and Grotowski. A son of Manipuri dance masters, for a time, Thiyam studied painting before turning to writing. He published his first of six novels in 1961 at the age of 22, wrote poetry and reviews. Writing led him to theater. His plays have traveled, from Aryan Theater, GM Hall, Jawaharlal Nehru Dance Academy (JNMDA) to the Shriram Center for Arts, New Delhi with the group's first overseas break coming in with their trip to Greece. Yes, we all know that Yanni had performed at the Acropolis or the Herrod Atticus. But actually Ratan had been there much before, staging an Indian play in Manipuri attire before a record audience of 10,000 Greeks. After watching his "Urubhangam"- a drama critic in Calcutta wrote that standards of Indian theater would one day be measured along the lines of "Urubhangam". His "Chakravyuh" was to follow soon engulfing audiences worldwide into that ancient Indian battle formation from which there is no escape. His other talents came to light in the opening ceremony of the India Festival at Moscow. TV watchers in India and the then USSR watched with amazement when the Manipuri Moibung's (Conch) "Dhani" reverberated across the Red Square prompting Raisa Gorbachev to ask for an encore. Yes, that was Ratan Thiyam's imagination at work and what might have been just another blowing session for the "Moibung Khongba" or the Conch-player, it was a giant leap for Manipuri culture. Having traversed the globe from Moscow to New York, he recently returned home with the New York Times describing him as a "Genius". The honor from the city of Paris and New Delhi in the form of the Padmashri was all there before, but this is different. "I started reading plays, besides writing reviews. I felt the need for professional training." he says. In 1971, he enrolled at the National School of Drama in Delhi, gaining a reputation as a powerful actor and director. 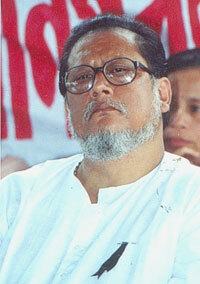 In 1976, he returned to Manipur and founded CRT. Except for a two-year stint as Director of NSD in the early 80's, Manipur became and has remained both the physical and esthetic foundation for his work.